Western Regional Director of Fisheries Commission, Mr Alex Sabah, has said the Floating, Production, Storage and Offloading (FPSOs) Vessels on the high seas are beneficial in the conservation of aquatic lives. “We do know that Ghana is yet to develop or demarcate areas on our water bodies as marine protected or no-go areas, where threatened sea species can seek refuge, grow their young ones in an attempt to replenish the sea naturally”, he said. Mr Sabah said this during a stakeholders’ engagement meeting on "Safe Sea Access Framework". It was aimed at ensuring peaceful co-existence between fishermen and operators of the various FPSOs on Ghana’s waters. He said as the marine space of the country has seen high competition between oil and gas operators and traditional fisher folks, the safe sea access framework is an important document that seeks to manage safety zone restrictions. The Regional Director said the FPSO only acted as a buffer zone for a while and the fishes would find their way into the fishermen’s net because they cannot stay there forever. “Let us see the FPSOs as a positive thing for now. The fish will not stay there forever, they will definitely move and you will have your catch”. 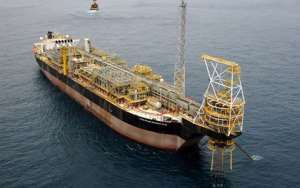 He said Ghana must take inspiration from Norway and manage operations of the oil and gas industry without any fallout on the fishing industry. “We need to go on a study tour in Norway with these fishermen to learn from them as they produce lots of oil and fish as well. We are nothing without the fishes lets collaborate and work together to grow these two industries hand in hand,” he added. Mr Alfred Ayeh, the Western Regional Coordinator of the Petroleum Commission, said the engagement was to solicit more inputs into the framework and find solutions to existing challenges. He said the outcomes of the various engagements on the safe sea sector include the intensification of artisanal fishing, education and knowledge on modern fishing, regulatory provisions, effective fisheries enforcement and extending the fishing safety zones among others. Mr Ayeh said there was the need to consolidate inputs, enhance collaboration among the MMDAs, the oil and gas operators, fishermen as well as a multi-stakeholder working group. Nana Kofi Bentil, the Lower Axim Chief Fisherman, who presented a paper on the summary of concerns of fishermen and other stakeholders in the industry, said the framework must cover activities of oil and gas exploration vessels and associated disturbances related to offshore and nearshore pipe laying which affected their operations. He called for a comprehensive marine spatial plan, improved communication on the types of FPSOs and their location, as well as enhancing the message flow to fishermen.